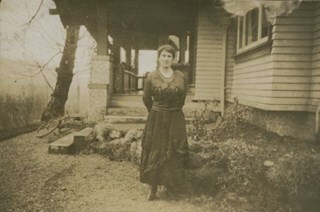 "Burnaby - 7828 Stanley Street"
Photograph of Alice Travers (also know as "Mam Tabs") standing outside the Travers family home on Stanley Street. 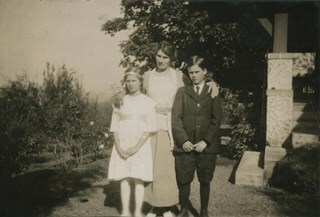 Photograph of Alice Travers with her two children. The boy is identified as Robbie and the daughter is Maude. 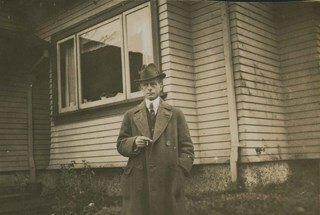 Photograph of R.D. Travers outside the Travers family home. 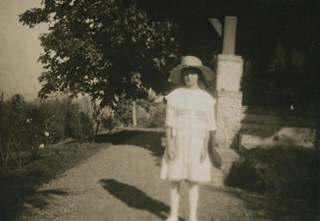 Photograph of Maude Travers, the daughter of Alice Travers standing outside the Travers family home. 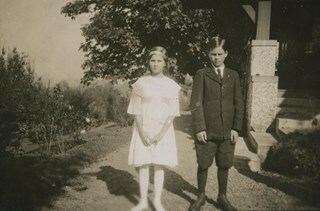 Photograph of the Travers children, Robbie and his sister, Maude. 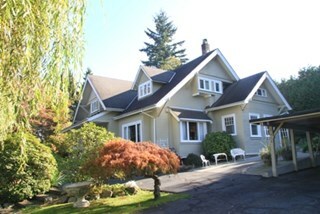 The photograph was taken outside the Travers home. 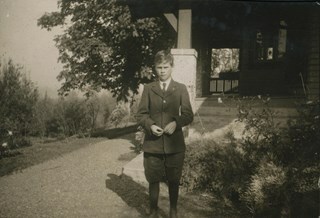 Photograph of Robbie Travers outside the Travers family home.